The decision to have breast enlargement or breast reduction surgery is a big one and one not to be taken lightly. Indianapolis breast surgeon Dr. Joseph J. Fata and his staff at Renaissance Plastic Surgery are here to provide you with the exceptional care and treatment that you deserve. We know that there is a great deal of anxiety involved with the decision to make a change to the size and shape of your breasts, and we will be here for you every step along the way. 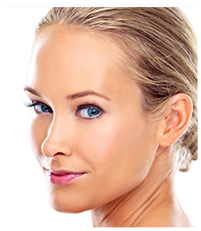 At Renaissance Plastic Surgery, we want you to truly understand the procedure you are considering so you can make a decision that is best for your individual goals. To help you better understand some of the terminology you will hear and read while researching breast augmentation, we have compiled this glossary of terms that are commonly used to help you work through the steps. 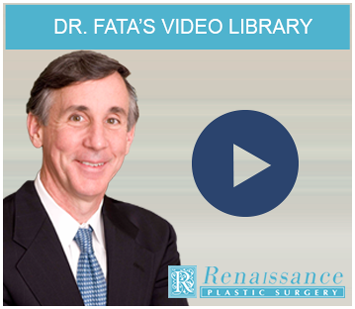 At your initial consultation, Dr. Fata will do a complete evaluation and assessment of your situation. He will then explain to you what options are available and may make a suggestions as to what he feels would work best for your individual needs. One of the most important parts of deciding to have breast surgery is deciding which plastic surgeon will do the procedure. You have made the right choice. Dr. Fata is one of the few plastic surgeons in the Midwest to offer a "24 hour Recovery Program," which has allowed women to resume their normal activities by the second day after surgery. Dr. Fata and his staff will work hard to ensure that your breast surgery experience is as pleasant and comfortable as possible. Renaissance Plastic Surgery is located at the junction of northern Indianapolis and Carmel, a central location that has allowed Dr. Fata to treat patients throughout Indiana and the Midwest. Please call 317-575-9152 today to schedule an appointment. Put your appearance and your well being in Dr. Fata's hands; he just may provide the solution you have been looking for!